Just because you might be young, does not mean you cannot start your own business! If you're at that turning road in your life, between going to college, working, or joining the military, you should check out this book, so you can start your own business right away! 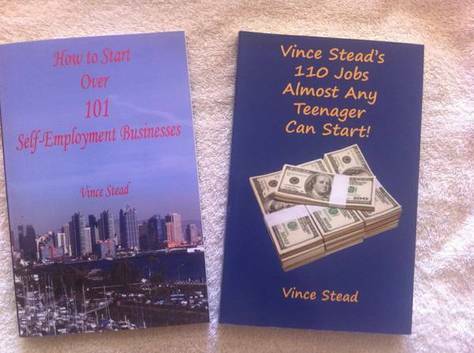 This book covers all kinds of businesses, that almost any teenager can start, and adults too! Jobs like: Remote Control Aerial Photography, Document Shredding, Internet Auctions Lister, Window Washing Service, Mobile Auto Detail, Tree Stump Grinding, Lawn Aeration, Curb Address Painting, Pool Cleaning, Mobile Security Service, Chimney Sweep, High Pressure Washing, Mobile Welding, and many other jobs you can start! You can find a fun job inside this book! You can start any one of these 110 jobs as a hobby, or work at it part time, or turn it into a full time business!